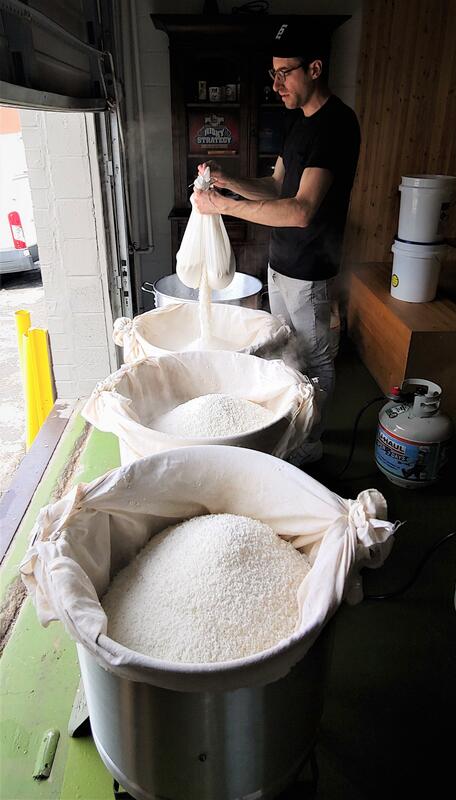 Brewmaster Byron Stithem steams rice at Proper Sake in Nashville, March, 2019. “You’ll move them by hand as much as possible to make sure all of those spores are passed on to each grain and from their you’ll bundle it all up and retain all that moisture,” he explained. Chilled fermentation tanks are the next stop on the way to finished Sake. Here too, the process is hands-on. Stithem stirs the tanks with a wooden paddle twice a day. So how did Byron Stithem end up brewing Sake in Nashville? Turns out he came to the mid-state to get a Music Business degree at Belmont University. Stithem worked restaurant jobs to put himself through school. Following stents in New Orleans, New York and Japan, Stithem’s passion narrowed its focus to Sake. “I guess when I was living in New York and was exposed to some of these really wild old-world styles that I had no idea existed that really was the catalyst for me,” he recalled. The sterile room at Proper Sake where Koji spores are added to steamed rice, kicking off the fermentation process. Stithem returned to Tennessee when he realized he just couldn’t find those world-class Sake’s anywhere in the South. “The actual allocation of Sake as it comes from Japan is not great at this point. Most of it typically goes to the coasts; San Francisco, LA, New York,” he said. Proper Sake is now being distributed throughout Tennessee and is moving slowly into surrounding states. It’s also served at several mid-state restaurants, including restaurateur Sarah Gavigan’s Bar Otaku in The Gulch. 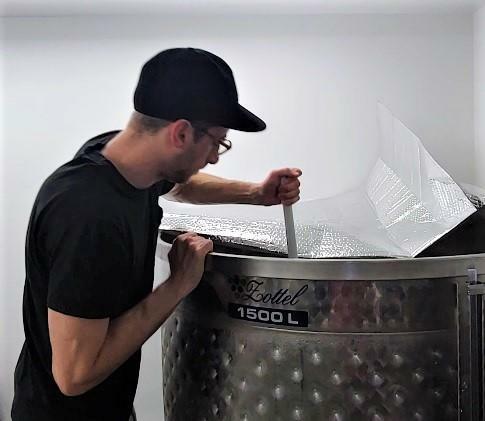 Making Sake is a hands-on process for Proper Sake brew master Byron Stithem. He stirs the chilled fermentation tanks twice a day. Proper Sake’s tap room is now open to the public Friday and Saturday evenings. In addition to several varieties of Sake Byron Stithem is also brewing a traditional Japanese beer. Would you like to learn more about Proper Sake of Nashville?